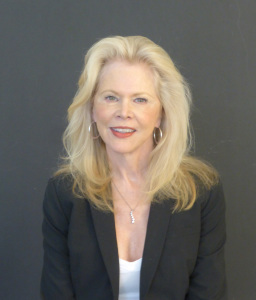 I’m excited to welcome Nancy Cole Silverman to my blog today. She’s written a post about becoming a writer. Grab a cup of coffee and read about Nancy’s journey. It wasn’t until I got bucked out of my previous life as the publisher of The Equestrian News, a newspaper I founded in Southern California, after retiring from radio, that I really got serious about writing. For most writers I think there’s an easier path, mine included several seriously broken bones, a bruised ego and instructions from my surgeon not to ride again. Oh, sure, I’d always thought of myself as a writer. I’d earned my living working at radio stations, writing news and commercial copy, but books? That was only cocktail conversation. Like everyone in L.A. I was going to write a book. One day. The trouble with idle chatter is that at some point, somebody is going to ask when you are actually going to sit down and put something on paper? That time came while I was rehabilitating myself – licking my wounds – and trying to imagine how I could sneak out the house, back to the barn and do what I really wanted to do. Ride. But pain, incision braces that looked like something out Young Frankenstein, and physical therapy, hours and hours of physical therapy, kept me home, much of it flat on my back. What wasn’t flat on my back was my imagination. I’m not sure if it was being knocked on the head, or that I just couldn’t do anything else, but I couldn’t stop the stories from coming. For me, writing started out as therapy. It took me out of my pain, and while I still miss the horses, I’ve gone from riding to writing and love it. My first books were just that, my first books. It takes time to develop writing skills. Even though I’d written as a journalist, writing a novel is altogether a different skill set. None of it comes easy. Like Malcolm Gladwell said in his book Tipping Point, it takes ten thousand hours of practice to achieve mastery in a field. And with writing it may take more. But, I can see, after writing more than five books and numerous short stories before I even attempted to write The Carol Childs Mysteries how much more comfortable I am with the process. 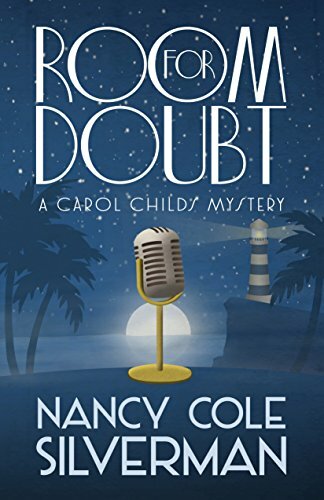 I was thrilled when the fourth of the Carol Childs books, Room for Doubt was released in July. As I look at the four books on my desk, I often wonder if getting bucked off my horse and out of my equestrian lifestyle might have been a good thing. I know, without the accident, I never would have sat down to write. I would have been too busy hanging out at the barn. Carol Childs has been one my favorite characters to write about. She’s a middle-aged woman working in a newsroom for a news director that is half her age, who refers to her as the World’s Oldest Cub Reporter. I’ve met a few of those along the way and I can say many of the stories are not too removed from those I actually saw or lived first hand. Add to that, my new tagline – Where Brains Beats Brawn & a Mic is More Powerful than a Forty-five – and I think you’ll have a pretty good idea that these books are action-packed and full of surprises. I hope you enjoy the series as much I have writing them. When radio reporter Carol Childs is called to a crime scene in the Hollywood Hills at five thirty in the morning, she’s convinced it must be a publicity stunt to promote a new movie. That is, until she sees the body hanging from the center of the Hollywood sign. The police are quick to rule it a suicide, but something doesn’t add up for Carol. Particularly after a mysterious caller named Mustang Sally confesses to the murder on the air and threatens to kill again. With the help of an incorrigible PI, her best friend, and a kooky psychic, Carol is drawn into the world of contract killers and women scorned. As she races to find the real killer, she finds herself faced with a decision that will challenge everything she thought she knew. Click on book cover for more inform or to order from Amazon. This is a new series to me. I really enjoyed the description of the book and I’m looking forward to reading the series.